Register today for a very special DC CFAR event, the Fred M. Gordin Memorial Lecture, on Friday, March 22, 2019 from 9:00am - 11:00am at the GWU Milken Institute School of Public Health, first floor Convening Center. Registration will open and a light breakfast will be served beginning at 8:30am. 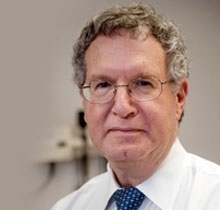 Dr. Gordin, who sadly passed away last year, was the Chief of Infectious Diseases at the DC Veterans Affairs Medical Center and a distinguished HIV/AIDS clinician and researcher. He was a pioneer in clinical HIV research in Washington, DC, and served as the founding Director of the DC D-CFAR Clinical Core. Among his numerous accomplishments, his leadership roles in the SMART and START trials and his expertise in tuberculosis will long be remembered, but above all he was a kind and caring clinician, mentor and friend. To honor his legacy, the DC CFAR is hosting this memorial event which will include members of Dr. Gordin's immediate and extended family. Dr. Richard Chaisson, Director of the Johns Hopkins University CFAR and a world-renowned expert in HIV and tuberculosis research will deliver the keynote address entitled "Brief But Spectacular: Short-course TB Preventive Therapy to Control the TB Epidemic". The inaugural Fred M. Gordin Clinical Investigator Award will then be presented to DC CFAR investigator Dr. Seble Kassaye of Georgetown University and Director of the DC WIHS, who will give a talk entitled, "Gen X HIV Research Perspectives: From the Individual to Population and Community". There is no video in the room. The webinar will give you access to the speaker's slides, and let you hear the presentations. You will be muted on entry into the webinar and will not be able to turn on their webcams. Please do not unmute yourself during the webinar to minimize background noise while the speakers are presenting. We will unfortunately not be able to field questions from the webinar participants during the Q&A period. Click here to view the agenda. We look forward to your participation!